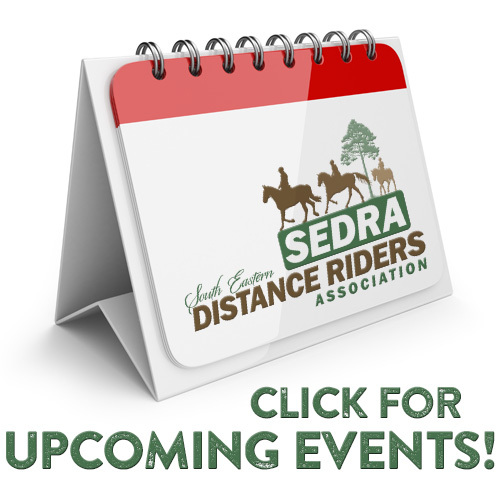 An important show, a destination trail ride, a permanent move that involves transporting your horses…whatever the reason for the ride, you and your horse are facing a long-haul road trip. Not only is it a long way to go, but you’ll also travel in summer weather, i.e., the hottest time of the year. How can you minimize the risks of hot-weather travel to ensure that your horse is safe, and that he arrives in top-notch form when it really counts? You’re smart to ask, because trailering horses is always risky. Every time you load a horse in that little metal box, close the doors, and head down the road, he could stress out, hurt himself, or end up sick. And when temperatures soar, risks increase. I’m going to explain the added risks of hot-weather travel so you’ll understand what you and your horse are up against when you travel in the heat. Then, I’ll give you 10 time-tested tips to help you keep him safe. To help you understand the risks, let’s start by looking at the basic mechanisms that help your horse cool down—and how those cooling strategies are compromised when he’s locked in a box. Convection: Heat is carried away from your horse’s body as air flows over his skin, as in response to a cool breeze or fan. Often, airflow in a horse trailer is severely limited, especially if it’s standing still (picture a breakdown or other long wait on the freeway). If there’s no air movement, your horse’s ability to use convection to cool is completely lost. Radiation: Heat is lost into the environment because of a difference in temperature between your horse’s body and the surrounding air. When your horse is loaded in the trailer, his body heat goes no farther than the trailer walls. Simply put, there’s nowhere for the heat to go. With other horses in the trailer, this problem just gets multiplied. Evaporation: Heat is lost when liquid is converted into a “vapor” in the air; this is the mechanism that occurs when your horse sweats. Sweating is your horse’s most important cooling strategy. Have you ever unloaded your horse on a hot day, only to discover that the interior of your trailer feels a little like a sauna? Your horse’s sweat is trapped in that air, and when the air is filled with moisture, your horse stays wet. Evaporation can’t help to keep him cool. Conduction: When your horse’s warm body comes into contact with something “cooler” (like a spray of cold water or an ice bag), the heat transfers to the cooler object. Unfortunately, the inside of a trailer is likely to be hot, and hot divider walls won’t help cool him down. Now let’s look at your horse’s own functions. When it’s hot, a number of physiologic changes occur to allow his heat-loss mechanisms to work. These changes transfer heat from his core to his body surface, so that the heat can be lost into the environment. First, his heart rate increases, and the tiny blood vessels in his skin and the lining of his respiratory tract become enlarged. This improves blood flow to his periphery to aid heat loss via radiation, conduction, and convection. This transfer of blood flow means that blood is being shunted away from his vital organs, including his brain. Your horse may start to breathe more rapidly, or “pant,” allowing increased amounts of cooler outside air to pass by the blood vessels in his nasal passages. Finally, he’ll begin to sweat to take advantage of evaporation. When he sweats, fluid from his body will be lost. This compromises blood flow and makes it even more difficult for your horse to cool himself. A vicious cycle begins. When your horse can’t cool down, these physiologic mechanisms go into overdrive. His heart races, his breathing becomes very fast and shallow, and he sweats profusely. Eventually, he becomes dehydrated—compounded by the likelihood that he won’t drink while on the road. In severe cases, blood flow to his vital organs completely shuts down. Heat stress, or even life-threatening heat exhaustion can result. What can you do to ensure that your horse can make the most of his basic cooling mechanisms? Employ the following time-tested tips. 1. Plan ahead. Know exactly where you’re going, plotting the coolest, most efficient route to get there. Check DOT (department of transportation) Web sites for updates on construction-site detours and delays. If you’re planning overnight stays, be sure you have current directions. Getting stuck or lost on the way to your horse’s “hotel” means extra time in the trailer—and the less time he spends in the trailer the better, especially when it’s hot. 2. Prepare your paperwork. Be sure you have the appropriate travel papers in hand before you leave for your trip. Few things are worse than arriving at a border crossing, only to find out you have to wait for the local vet to arrive and inspect your horse before you can continue down the road. Oh wait, there is something that can make it worse: waiting at a border crossing when it’s very hot. Can it really happen? You bet it can. In fact, one of our Olympic team members had to cool his heels for several hours just weeks before the Games, all because of a paperwork debacle. To avoid watching your horse bake in the trailer because of paperwork problems, call your veterinarian well in advance to find out what you need, and make sure it’s all in order before you leave. 3. Set your alarm. The time of day you choose to travel can really make a difference—so plan to get an early start! Many seasoned long-distance haulers will load up and hit the road in the wee hours of the morning, when it’s nice and cool. Depending on your destination, try to plan your travel schedule so you’ll be hauling through the hottest areas when it’s cool, and resting, horses safely unloaded, when it’s hot. 4. Go naked! Resist the temptation to wrap your horse in clothing before you load up. Naked is best! Remove blankets, coolers, and even scrims or “anti-sweat” sheets. If it’s very hot and he’s an experienced and stable traveler, this may even be a time to forego protective boots or bandages on his legs. The more of his skin that’s exposed to the air, the better off he’ll be. 5. Open up. Open every possible vent and trailer window (those with bars or screens) to maximize ventilation. Air movement is necessary for your horse to cool via convection. And by allowing the wet, hot air within the trailer to be exchanged with the cooler air outside, you’ll help your horse use radiation and evaporation more effectively.